Young people from Millgreen Youth Club in Newtownabbey, Carrickfergus College and the Inclusion Youth Project in Whitehead have been working with the Education Authority Youth Inclusion Project, Digital Media Choices, Northern HSC Trust ASD Coordinator and CYPSP members for the past two years on an ASD and Me project. The Kinderproject supported by the Department of Education’s new Pathway Fund was launched on 6 July 2016 in the South Eastern Outcomes Area. 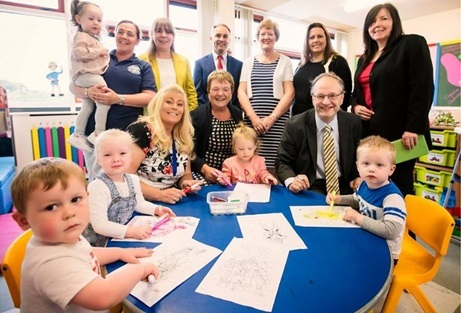 Kilcooley Women’s Centre, a member of the Kilcooley Locality Planning Group, will work with early years partners to help 40 children from birth to four years offering early intervention support which tackles social, emotional and behavioural difficulties. Minster for Education, Peter Weir spoke from the launch event, ‘The early years sector makes a valuable contribution to the lives of our children by ensuring their early years’ experience is both positive and fulfilling. The future stability of our society and the success of our economy depend on there being a high quality education system that can stand alongside the best in the world’. Are you currently unemployed? In between a course? 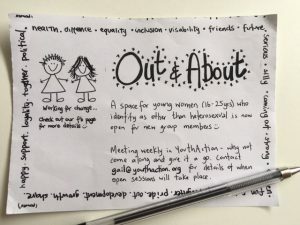 Are you aged between 16-24? Interested in a FREE 12 week course that includes a 3 days of Outdoor Pursuits? Interested in getting a qualification to help get a job or boost your confidence? Would you like to start 2016 in a positive way, getting involved in a range of team building experiences to achieve qualifications that will improve your chances of gaining employment or progressing into further education? If so, the ‘Prince’s Trust Team Programme’ at Southern Regional College could be for you! The Prince’s Trust Personal Development Programme is a 12 week course aimed at young people aged between 16 – 24, helping to increase transferable skills including; communication, working with others, problem solving, teamwork, tolerance and leadership as well as many other skills that will make you a good candidate for potential employers. 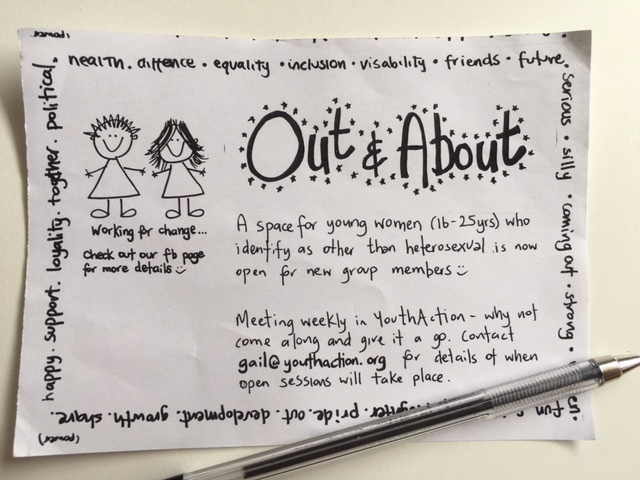 Out & About Project – Calling new members! The Southern Area Locality Planning Groups coordinated two school uniform fairs in Newtownhamiliton and Bessbrook Community Centres in August 2016. 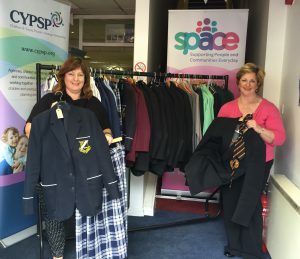 The fairs received over 100 items of uniform including 60 blazers, 40 skirts/trousers, ties, jumpers and PE kits. Approximately 50 families availed of the school uniform fairs in Newtownhamilton and Bessbrook this month. Parents who attended the school uniforms commented on this fantastic and helpful initiative to support families prepare for their children starting school. All items were either 50p or £1. Keep up to date with 2017 uniform fairs & similar events on our website.